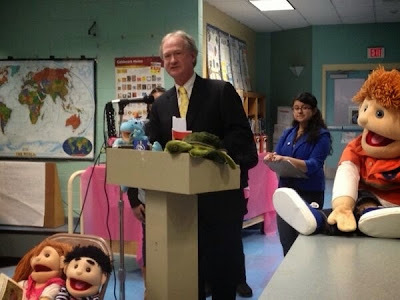 DePetro.com: Was Chafee used as a bargaining chip at the Old Canteen Lunch? Was Chafee used as a bargaining chip at the Old Canteen Lunch? Questions remain as to whether former Governor Linc Chafee will challenge Governor Gina Raimondo in a Democrat primary next September. The latest rumor is that Chafee was "set-up" in a high profile lunch at the Old Canteen on Federal Hill with House Speaker Nick Mattiello. Chafee,the naive nitwit, gladly jumped at a lunch invitation from the Speaker, and the lunch was quickly leaked to the media. Chafee was so proud to feel relevant with his lunch( "I had the veal"), he proceeded to do a series of interviews where he regaled his "power lunch" like a high school boy bragging he had lost his virginity. Who had something to gain by news of the lunch leaking to the media? 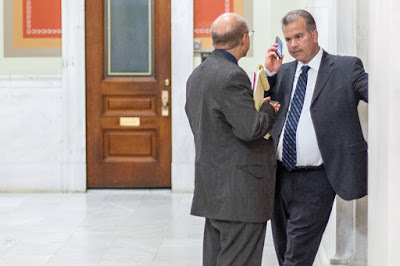 We have since learned the Speaker called Chafee, and Mattiello selected the "very public" location. Behind the scenes, sources say Raimondo had a decision to make: either make some deals with Mattiello, or Chafee would be encouraged to jump into a primary. Raimondo has very low approval ratings, with very high negatives, and cannot afford to get dragged into a messy primary with anyone, let alone Chafee. The Raimondo campaign has also seen polling data that shows she loses in a head to head match up with a Republican challenger, since Gina cannot get anywhere near 50%. The best case scenario would be she would lose 54% to 46%, and that is best case scenario. If Raimondo were to attack Chafee, her negatives would go up. Even with Raimondo favored to survive a Democrat primary against Chafee, she would be forced to attack a Republican opponent and her negatives would climb even higher. What if a deal was offered to the Raimondo campaign with an opportunity to avoid a Chafee primary, and gain a third party candidate to enter the race that would weaken the Republican candidate? Would Raimondo be willing to make such a deal? Without a primary, Raimondo does not raise her negatives. With a third party attacking the Republican candidate, Raimondo could run a positive campaign and stay above the fray in the debates. 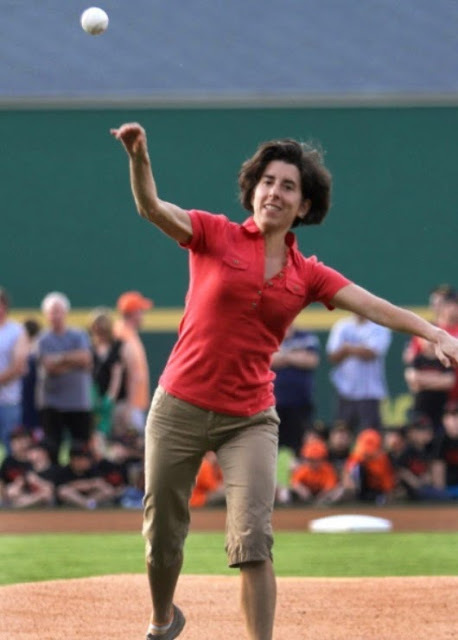 What if Raimondo had an opportunity to win next November with just 42-44%? Does she make a deal? If Governor Gina Raimondo loses in November 2018 her political future is not over, but it is derailed. If she can win next November, her plan to run for President remains intact. Remember, everything in politics is a deal, and the key is the art of the deal. For the real story on campaign 2018, listen to the John DePetro Radio show.